Stewart Lumsden leads the firm’s Chicago and Minneapolis offices and is a core member of the global Supply Chain Practice. He manages the North American region for the practice, working with a wide range of clients across multiple industries, including consumer, healthcare, technology, financial services and industrial. 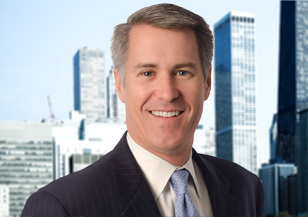 His clients include Fortune 500 companies, private equity portfolio businesses and privately held organizations. Stewart’s primary focus is within the supply chain function, where he executes searches including chief supply chain officers, chief procurement officers, senior manufacturing/operations leaders and logistics/distribution executives. In addition to his supply chain work, Stewart has conducted more than 200 sales, marketing and general management assignments within the Consumer Practice. Prior to joining Spencer Stuart, Stewart worked at a boutique search firm. He began his career in sales at Ralston Purina Company, after which he was an account executive for a privately held marketing services organization. Stewart holds a bachelor’s degree from DePauw University and an M.B.A. from Lake Forest Graduate School of Management. How can supply chain leaders position themselves for a senior general management role? 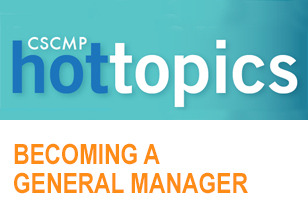 This article, published by the Council of Supply Chain Management Professionals, discusses the skills and expertise aspiring GMs should develop.